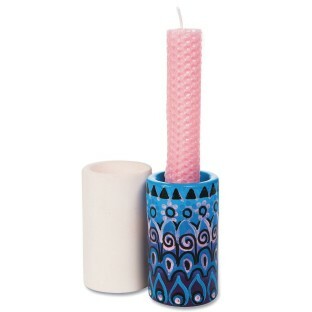 Design and decorate this ceramic bisque candleholder for all sorts of holidays and occasions! 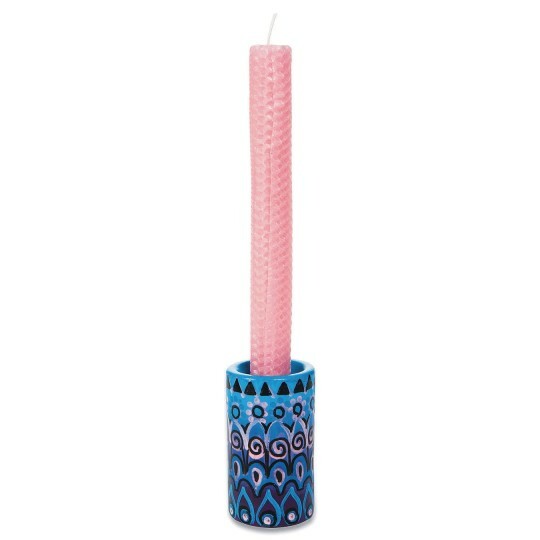 Holds a tapered candlestick (not included). Decorate with paint, permanent markers, or glaze. Makes a great gift! Measures 3-1/2” tall. Pack of 12. Note: These items can be glazed with low temp glaze and fired at low cone (approx. cone 3). Please note that these are industry recommendations and we have not tested these specifically.